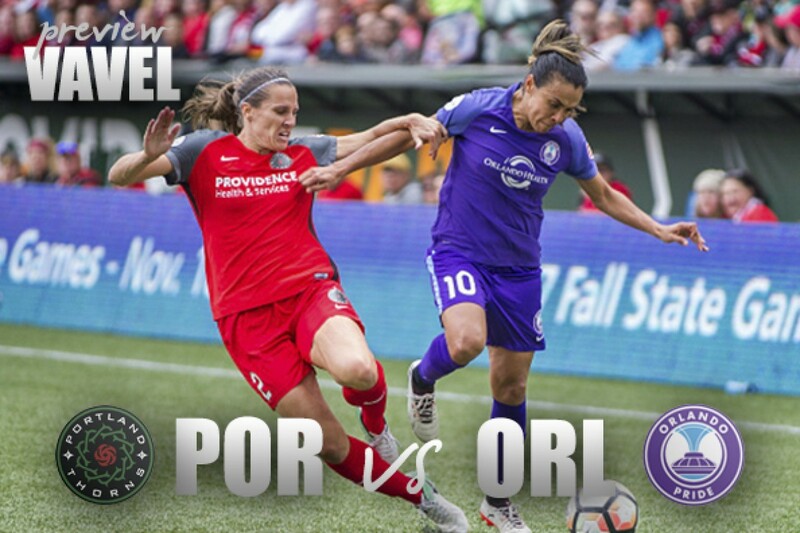 For the third straight year the Portland Thorns will welcome the Orlando Pride to Providence Park for their home opener. On April 15th, Portland Thorns FC will be the last of the nine NWSL teams to play their first 2018 match at home. For the third consecutive year the Thorns will welcome the Orlando Pride to Providence Park. These two teams have played one another five times, one of those being in last season's semifinal match. The Pride has never been able to beat the Thorns and the closest they have gotten was their last home game last season where they tied the Thorns 0-0. Last season, the Thorns defeated the Pride 2-0 in their home opener with goals from Nadia Nadim and Christine Sinclair. They would then see the Pride again at home in a semifinal match up. 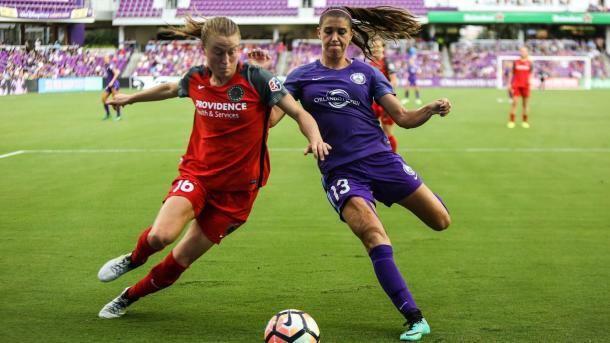 Orlando was looking to play in the NWSL Championship on their home turf but their hopes were destroyed when Portland defeated them 4-1 with goals from Amandine Henry, Emily Sonnett, Hayley Raso and Christine Sinclair. Alanna Kennedy scored the lone goal for Orlando. In the Pride's inaugural season they played the Thorns twice, both ending in 2-1 loses. The first came in their first game in the NWSL in Portland's home opener. Steph Catley scored the first goal of the match and in Pride history to give Orlando the lead but they were unable to hold on. The two teams went into the half tied 1-1 after a goal by Dagny Brynjarsdottir. Then in the 82nd minute, Lindsay Horan scored to give Portland the win. The next time the two teams saw each other it was almost the same as before. It was a scoreless match going into the half. Jasmyne Spencer of the Pride scored the first goal of the match. The Pride was then shut down yet again by Brynjarsdottir and Horan and the Thorns took the three points. Orlando and Portland are both heading into this match looking much different then the last time they saw one another. Orlando had a very busy off-season and Tom Sermanni was able to stack his team with high quality players. Portland has been known for having a team filled with talented players and yet they continue to be that way. Even with the amount of high quality players, Orlando hasn't looked to reach the full potential they should be able to play at. This being said, Orlando will be missing Marta, Alanna Kennedy, Monica, Poliana and Emily Van Egmond on international duty as well as Camilia and possibly Rachel Hill from injuries. The Pride have a lot of talent missing but considering how on fire Alex Morgan has been lately they might be able to find their first win against Portland. The Pride tied the Utah Royals FC in their home and season opener with a equalizing penalty from Marta and then went on to lose to the Washington Spirit with two late goals. Portland is heading into this match on a high after defeating the Chicago Red Stars 3-2 just before heading into the FIFA break. They are also in a similar situation as Orlando with missing high quality players in Andressinha, Ellie Carpenter, Caitlin Foord and Hayley Raso being on international duty. They are also missing Elizabeth Ball, Meg Morris and Emily Menges from injuries. It was announced that Tobin Heath would not play in the home opener on Sunday but she has been moved from out to questionable on the injury report. The Thorns will be welcoming Ana-Maria Crnogorčević for the first time as she might make her NWSL debut in Portland. Based on the way the Thorns have been playing, they shouldn't have a huge problem defending their home. Both teams will be on the hunt for the three points as Portland sits at fifth place and Orlando sits near the bottom in eighth. Portland will look to start another strong run at home where as the Pride will look to get their first ever win against the Thorns. You can watch the match on April 15th at 6:00pm EST on the go90 app or at nwslsoccer.com.